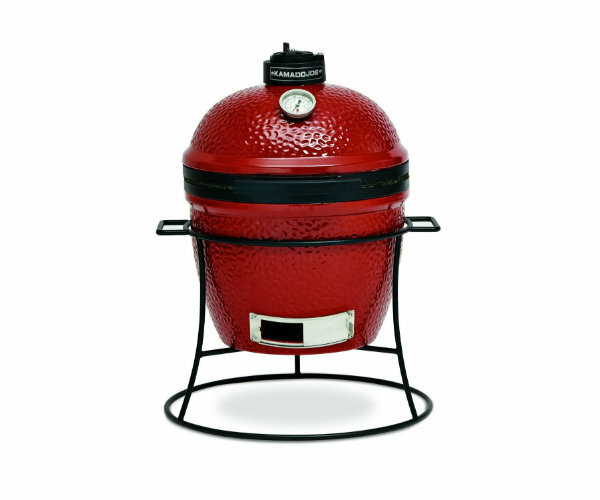 This 13.5-inch Kamado Joe ceramic grill is one of the most versatile types of grills/smokers out there. A key advantage of Kamado Joe’s ceramic vessel is its ability to insulate. Not only does this require less total heat for cooking, it also lets you cook at significantly higher temperatures or at very low temperatures for a significantly longer time. You can grill, smoke, sear, and bake. A sturdy stand, ceramic heat deflector, ash tool, and grate gripper are included.